Got Hep C from transfusion, blood product, or transplant between 1986 and 1990? Haven’t applied for compensation yet? This news is for you. Good luck! 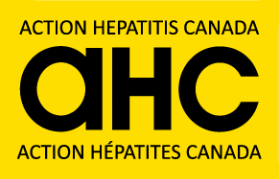 Jan. 31, 2018 /CNW/ – A decades-long fight to compensate thousands of Canadians who were infected with hepatitis C from receiving blood transfusions or blood products between January 1, 1986 and July 1, 1990 is entering the final chapter in the search for claimants who have yet to come forward. If you or a family member received a blood transfusion or blood products in Canada between January 1, 1986 and July 1, 1990 and contracted hepatitis C, you may be compensated up to $329,000 or more. For more information, please visit the website http://hepcclassaction.ca or call 1-866-353-4003. You must submit a completed late claim request in accordance with the Plan to the Administrator no later than March 31, 2025. If a court appointed referee determines that you are eligible to submit a claim, you will be provided with a late claims application package. You must submit a completed late claims application package to the Administrator within two years of being advised that the referee has determined that you are eligible to submit a claim. For older posts and details about older compensation programs (pre-86 / post-90) click here. Be aware that not all the phone numbers or links on the Archive page may work, since many of the programs have been discontinued due to lack of funds.